During his time in the Marine Corps he was deployed to Iraq where he operated as a military police officer. Donovan provided security for logistical convoys traveling throughout the Al Anbar province as well as providing security for Explosive Ordnance disposal teams while they defused IED’s and dealt with weapons caches. Shortly following that he was deployed with the 24th Marine Expeditionary Unit (MEUSOC) where he took part in the American evacuation of Beirut, Lebanon in 2006. He also cross trained with NATO forces in Jordan, Pakistan and Kuwait as well as spending time in the Horn of Africa and Southern Europe. Upon returning from that deployment he spent the rest of his time as an instructor in and around Camp Lejeune, North Carolina. During this time he specialized in training individuals in the use of rifles, pistols, shotguns and machine guns with an emphasis in the M.O.U.T. 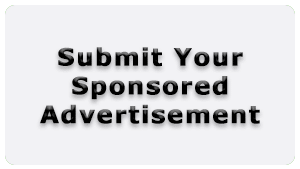 Training program (Military Operations in the Urban Terrain) and the EMP Training program (Enhanced Marksmanship Program). 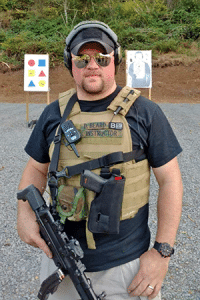 After leaving the Marine Corps he started working as a Federal Security Contractor where he provided security services for various Federal Installations around the state of Oregon. This included providing security for Federal Administrative Law Judges whom were conducting Social Security Disability hearings, controlling access to Federal Buildings, searching and screening individuals for contraband, Making arrests and interacting with individuals from various other Federal Agencies. 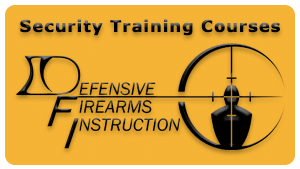 In 2011, Donovan founded Defensive Firearms Instruction with a goal to be the “industry standard” when it comes to educating members of the public as well as Security Professionals in the safe use of Firearms and other Less lethal weapons. 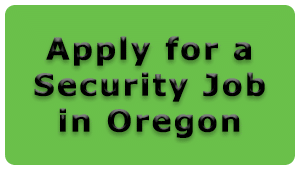 He currently works closely with the Oregon Department of Public Safety standards and Training (DPSST) Private Security/ Private Investigator program as an instructor and an advocate for security professionals throughout the state.